Managing Partner. Attorney with nearly 10 years of experience. 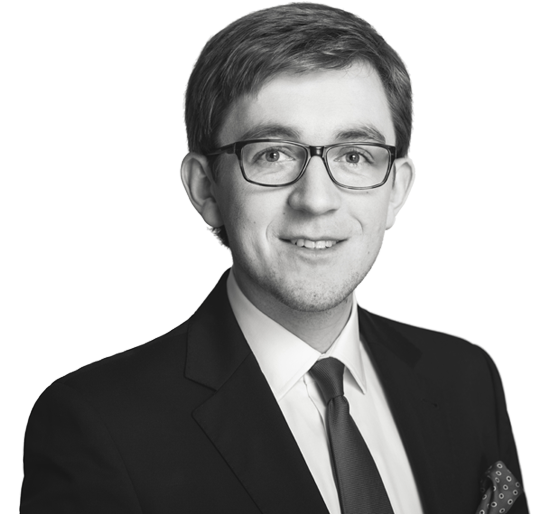 He gained professional experience in leading law offices in Poland. He specializes in providing current business legal services with a high degree of complexity, strategic consulting, including negotiation processes. He deals with unusual and complicated matters, that their character goes beyond the standard legal advisory services. His interests include real estate law and issues related to the servicing of construction projects, in particular the land development process. In his work, he combines legal consultancy for entrepreneurs with the practical use of experience in project management. Broad specialization is the result of many years of study, work and extensive experience in a wide spectrum of legal and business activities. PhD student at the Civil Procedure Department of the University of Adam Mickiewicz. He prepared his doctoral thesis on the subject of the European Certificate of Succession, taking into account the aspects of inheritance planning and succession in the enterprise, so that the assets and activities carried out in a fluent manner were passed on to successors. He works in Polish, English and German and communicates in Spanish. Permanent legal service in negotiating lease agreements for commercial premises for one of the leading trade networks. Preparation of a model lease agreement. He audited the legal status of the real estate and the transaction of their acquisition – including also shopping centers. Comprehensively advised legally for one of the leading European energy concerns in the field of investments in wind farms in Poland. A full representation at all stages of the case i.e. – in the scope of analyzing collected evidence and its evaluation, in terms of reliability and suitability in relation to the raised charges, and the development of a defense strategy. A detailed audit of the Company, preparation of a crime notification to the detriment of the Company by a management board member, representation of the aggrieved party and preparation of an individual solution to repair the resulting damage and prevent such events in the future.